Published last weekend, the 19th Annual Sunday Times BDO Profit Track 100 league table ranks Britain’s private companies with the fastest-growing profits over three years. 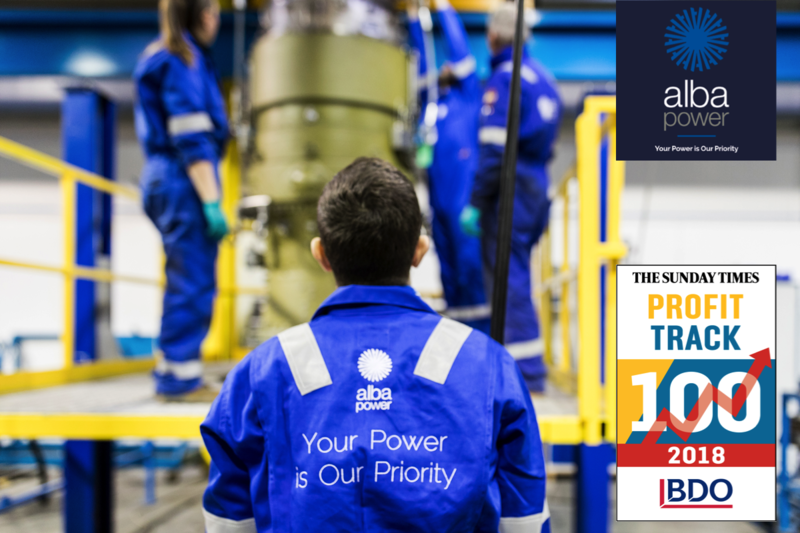 With profit growth averaging 58% over the last three years to £3.7m in 2016, Alba Power, the Netherley based gas and power turbine service company, have become a new entrant on this prestigious list at number 84. Last year Alba opened a further site in Ontario, Canada to handle increased demand across north America and now employ over 70 people across their Netherley head office in Scotland and their Houston and Ontario service centres.